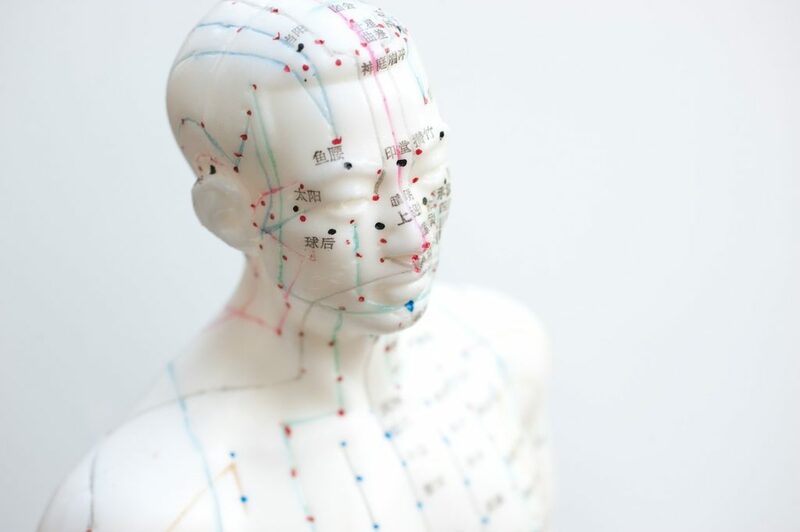 Acupuncture or acupuncture (from the 17th century medical Latin “acupunctura” made up of acus, “needle” and punctura, “bite”) is a therapeutic system whose historical origins are closely linked with the Chinese medical tradition. Acupuncture consists in stimulating specific areas of the epidermis: the “acupuncture points”. Acupuncture point stimulation techniques are performed with various means: needles most often, but also other physical means (mechanical, electrical, magnetic, thermal, luminous) or physico-chemical, or even other dangerous alternative methods (apipuncture, apitherapy with bee stings). Acupuncture was not built on modern scientific knowledge and its foundations are considered pseudo-science. However, work carried out since the 1990s by research teams has tended to show relative efficacy, thanks to proven neuropsychological mechanisms (placebo effect), or actual neurophysiological mechanisms, indicating efficacy, particularly in the treatment of pain. The risk of iatrogeny exists, particularly through the transmission of pathogens if the asepsis conditions are insufficient. 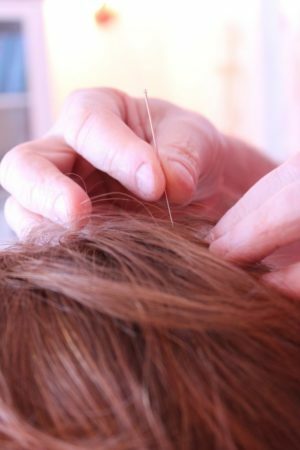 The use of acupuncture has been criticized ethically when it is at the expense of effective treatments. The practice of acupuncture has been documented for several millennia in Asia (particularly in India, China, Korea and Japan). Because of its historical, geographical and cultural roots, its conditions of implantation in the West, acupuncture interests not only medicine but also anthropology, the history of sciences, epistemology, sociology and this since its introduction in Europe in the seventeenth century. UNESCO included it in the intangible cultural heritage of humanity on 16 November 2010. The Chinese term 针灸 (zhēnjiǔ) refers to both acupuncture and moxibustion. The Latin medical term “acupunctura” was coined in the 17th century by Dutch physician Willem Ten Rhyne. It consists of acus, “needle” and punctura, “bite”. The first European reference to “acupunctura” can be found in a European treatise on Chinese medicine written by a French missionary at the Imperial Court of Beijing and published in Grenoble in 1671, “Les secrets de la médecine des chinois consistant en la parfaite connaissance du pouls et envoyé de la Chine par un français, homme de grande mérite” published in Grenoble in 1671 (Phillipe Charvys). The author is, perhaps, the Jesuit missionary Philippe Couplet. 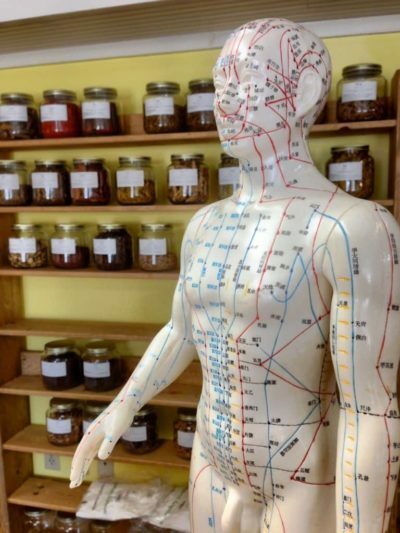 In India, the use of acupuncture was mentioned about 5,000 years ago in Ayurveda (Ayurvedic medicine) and is still used today in traditional Indian medicine. More than a millennium before China, one finds in ancient Egypt a description of conduits traversing the body and transporting various fluids (blood, water, air, mucus…). The imbalances between these fluids were supposed to be the cause of diseases. Around 1534 B.C., the papyrus Ebers (Eber 854a), visible in the British Museum, gives a representation of canals (called metu) in which various fluids circulate12. “There are four vessels in the nostrils, two give mucus, two give blood…(…) There are four vessels for the liver they are the ones that give mood and air, which then cause all the diseases that occur in him by the overload of blood “. In addition, a scientific team from the University of Graz discovered that Ötzi, the frozen and dehydrated human being discovered in a glacier on the border between Italy and Austria, had tattoos in the shape of lines approaching acupuncture points. Nine tattoos could be recognized and identified as acupuncture points13,14. However, this discovery is controversial: as L. Renaut points out, “current practice lists 670 points symmetrically distributed over the entire human body, along 12 bilateral meridians (or channels) and two axial meridians. Since the surface of the human body is literally dotted with insertion points, we can estimate as devoid of any kind of statistical significance the fact that Ötzi’s tattoos, long and quite extensive, coincide from time to time with some of these points..
Acupuncture: points and meridians according to a drawing from the time of the Ming dynasty. 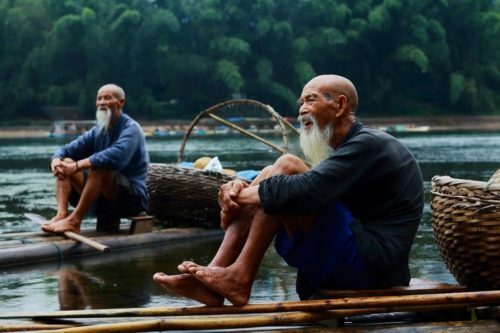 The Chinese are used to considering that the value of a cultural practice is judged by its age. Placing oneself under the authority of an ancient master, however mythical, or of a tradition of more than 5000 years, is the guarantee of the seriousness and respectability of the approach. “Without a trace, one cannot reach into the room,” says the Master (Interviews XI, 19). This Chinese thinker therefore openly claims guardianship and avoids anything that could resemble autonomy of thought. The desire to include acupuncture in a very ancient lineage has led us to consider that the existence of instruments sharpened in the Stone Age15 or bone or bamboo needles under the Zhou (-1045 → -256) are evidence of the age of this practice even if these needles were only used to hold hair or to drain the pus of abscesses. – In 168 BC, when Mawangdui’s tomb was closed, no acupuncture technique was known. The texts of these tombs clearly show that the typical features of Chinese therapy were not yet established under the Qin (-221,-206) and the beginning of the Han. Indeed, if they describe the paths of the ducts to the surface of the skin and the use of moxibustion, they never mention the use of acupuncture needles. – The first reference to clearly dated acupuncture can be found in Sima Qian’s “historical memories” (Shiji) (-145, -87) compiled in 90 BC. In this book, the author describes a doctor named Chunyu Yi (-216, -150) accused of poor therapeutic practice for implanting needles on patients. In two trials, in 167BC and 154BC, the doctor was obliged to demonstrate the therapeutic interest of acupuncture at a time when this technique was just beginning to spread. One could therefore date the birth of acupuncture to the middle of the 2nd century BC. It will then gradually establish itself as the dominant therapy of systematic correspondence medicine. – The Huangdi Nei Jing 皇帝内经 / 皇帝內經, the reference book on acupuncture, massage, gymnastics and therapeutic drugs is therefore partly posterior. The texts are heterogeneous, some parts dating from the end of the Warring Kingdoms (-500 to -220) and others from the 1st century BC. In any case, there are no copies from the Han era and all the versions that have come down to us have undergone numerous revisions over the centuries. – The Nanjing 难经 / 難經, the “Classic of difficulties” unifies the disparate and sometimes incoherent views of Huangdi neijing. 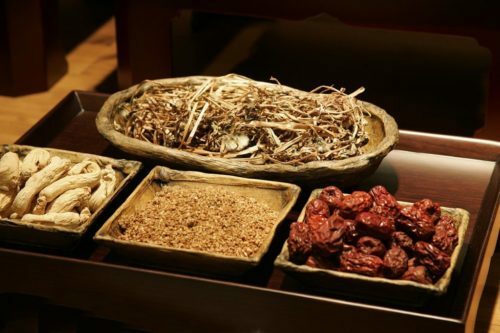 The work, composed between the 1st and 3rd centuries, methodically exposes the conceptual system of systematic correspondences on which traditional Chinese medicine has been based for about two millennia. Acupuncture was banned in 1822 by the Chinese emperor and removed from the Imperial Medical College program. But she will survive. Mao Zedong will also try to eliminate this practice – because of its Taoist foundations incompatible with Marxist ideology – before rehabilitating it. Today, acupuncture occupies a large place in medicine in China for a wide range of pathologies, particularly in hospitals, some of which have been transformed into tourist attractions. Colossal experiments have been undertaken, not always in accordance with traditional orthodox principles, resulting in the multiplication of points located outside the meridians, and the advent of new techniques such as analgesia by acupuncture. Taiwan, where those acupuncturist masters who escaped Mao’s purges when he came to power were able to find refuge, remains one of the high places of traditional acupuncture. 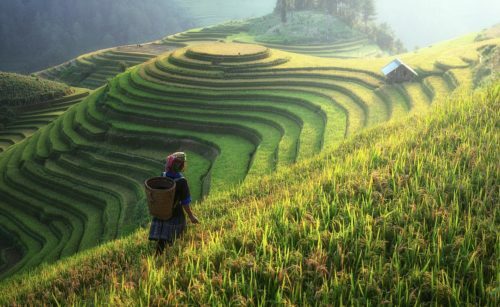 According to Chinese tradition, the living being, and here more particularly Man, is an organization resulting from the combination of matter – the material or physical body – of nature yīn, and energy – which animates matter – of nature yáng. The harmonious balance between these two components conditions the state of health. Disturbances in this balance are responsible for the disease. Any disturbance likely to upset this balance first affects energy preferentially. For example, an excess of yáng may cause sudden pain, inflammation, spasms, headache or increased tension. 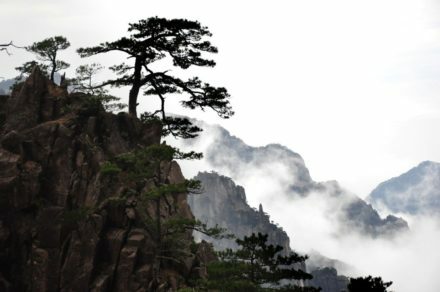 An excess of yīn may result in diffuse pain, a feeling of cold, water retention or severe fatigue. The energy (Qi) is in movement and its main disturbance will be the obstacle to movement: the blockage. The energy blocked in one region of the material body accumulates upstream of the blockage, while the regions downstream of the blockage will be in energy deficit. In the presence of a state of pathology thus described, the acupuncturist will establish his diagnosis by looking for the levels at which the energy is blocked, and what is the reason for the blockage. He will then apply his treatment by lifting the blockage and correcting, if possible, the reason for the blockage. The needle, among other means, will allow him to direct the course of energies. The energy circulates notably along conduits called meridians, and, starting from these meridians, spreads in all the body to insufflate its vitalizing principle (yáng) to the whole of the constituents of the organism. It has a certain correspondence with the blood, which itself circulates in ducts (vessels) and spreads throughout the body to irrigate it with its principle yīn. In addition, there are several energies, each with its own speciality; in addition to the main meridians, there are still a host of meridians with various functions; the balance of the human organism must always be evaluated in relation to that of its environment, and of cycles that will rhythm its evolution, cycles with which it will have to remain in harmony and whose material correspondences (the five elements) will serve as a reference for the acupuncturist to establish his diagnosis and treatment, according to subtle rules that originate in Taoism. The five wu xing elements designate Wood, Fire, Earth, Metal and Water. According to the Shuowen Jiezi dictionary of the Han dynasty, the five elements wu xing are the expression of the dynamic transformation Yin and Yang on Earth. These five elements or five wu xing movements are closely related to the six climate energies, organs and viscera, meridian. – Shen is the set of mental activities that reside at the heart25. Shen also refers to the specific mental activities of the heart. This concept refers among others to consciousness, memory, thought and sleep. – Po is the Yin equivalent of Hun. In French, it is referred to as the corporeal soul. The Po lays the material foundations for life, especially during pregnancy, when part of the mother’s Po is “transferred” to her child. This concept refers among other things to feelings, sensations, instinct, breathing. – Hun is the Yang equivalent of Po. In French, it is referred to as the ethereal soul. Hun survives the body to death and then returns to the state of subtle and immaterial energy. It is attributed, among other things, to the ability to give meaning to one’s life, to the ability to make decisions in accordance with one’s deep self. – Yi could be translated as “thought”. It is it which codes and decodes what we assimilate during our life. The Yi is particularly solicited during studies, efforts of concentration or memorization. – Zhi could be translated as “will”. It allows perseverance, motivation. Zhi allows a commitment, an action, to last in time. It also makes it possible to use the language of Yi, and to apply it to everyday life. The six climate energies are wind, heat, warmth, drought, cold and humidity. According to the Shuowen Jiezi dictionary of the Han dynasty, the six energies are the expression of the dynamic transformation Yin and Yang in Heaven. They are: Taé Yang (Tai Yang), Chao Yang (Shao Yang), Yang Ming, Taé Yin (Tai Yin), Chao Yin (Shao Yin), Tsiué Yin (Jue Yin)24. They correspond to a particular climate.